We’ve all seen lots of adorable animal babies like puppies, kittens, piglets and other commonly beloved creatures, but have you ever seen a baby pygmy slow loris? These nocturnal primates are found in the forests east of the Mekong River in Vietnam, Laos, eastern Cambodia and China. An adult pygmy slow loris typically weights just 13 to 20 ounces. 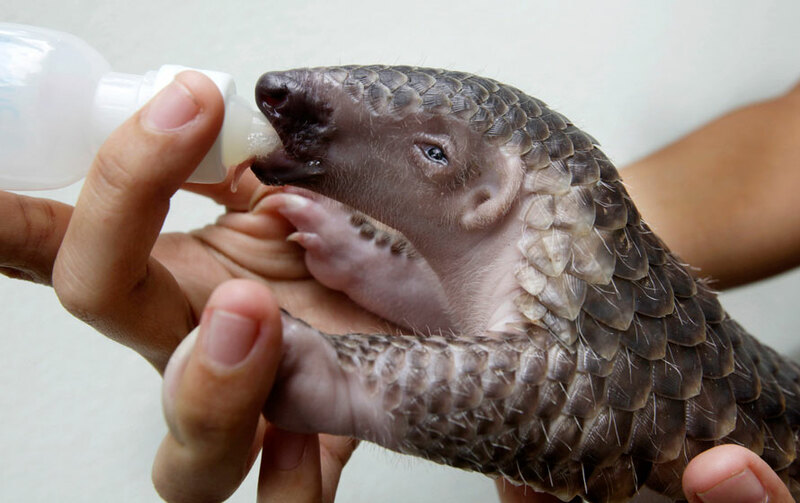 Pangolins are scaly, toothless anteaters that resemble a giant walking artichoke, but they’re still incredibly cute. They’re found in Africa and Asia. Pottos are found in African countries, usually living in dense tropical rainforests. They can reach lengths of 14 inches and weigh anywhere from 1.8 to 3.5 pounds. 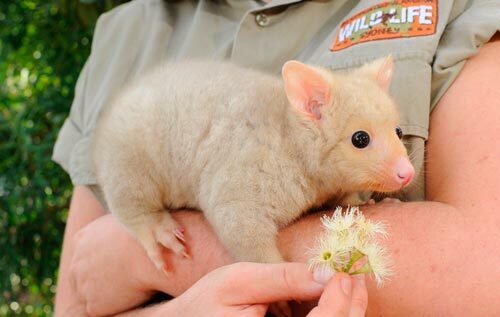 These adorable and rare creatures found in Australia, are an unusual form of the common brushtail possum that get their fluffy golden coats from a genetic mutation that results in low levels of melanin in their skin and fur. These super cute Australian baby bats are orphans being cared for at the Australian Bat Clinic and Wildlife Trauma Center on the Gold Coast. What’s not to love about a baby aardvark? These nocturnal mammal are native to Africa are may look a bit like aliens, but there is definitely something adorable about them anyway.